"The Mindy Project" Season 6 premiere title is a hilarious and clever play on the idea of "conscious uncoupling"
Honestly, even though it’s been a few years, we still haven’t totally wrapped our minds around the term “conscious uncoupling.” The idea was coined by Gwyneth Paltrow when she was going through her divorce from musician Chris Martin. But luckily, we’re not the only ones confused. Mindy Kaling teased the title of the Season 6 premiere of The Mindy Project on Hulu, and it’s an ode to the confusing phrase. Mindy shared an image of the season’s first script, and just that makes us giggle. 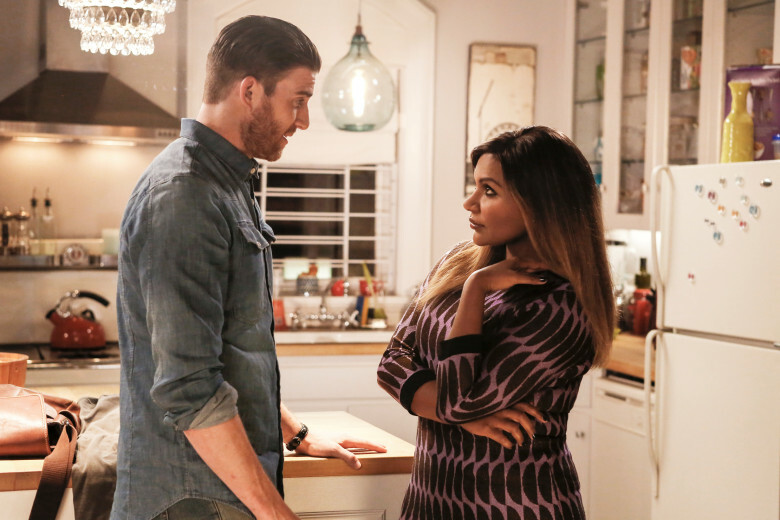 The Mindy Project’s Season 6 premiere will be titled “A Romantical Decouplement,” and LOL! As we saw in the Season 5 finale, Mindy and Ben ended the season in very different places. Ben had big ideas to propose, while Mindy decided she may never want to get married. And now the title may suggest that this adorable couple won’t survive the modern marriage question. Because “romantical decouplement” definitely sounds like Ben and Mindy may be no more. And it’s totally a reference to Gwyneth’s confusing statement, so the possible uncoupling may not be totally smooth. And honestly, is it ever? And while that’s a bummer that we may see the end of Mindy and Ben, we think it might make a powerful statement about women and modern marriage. Because we don’t all have to want marriage. We can decouple whenever we want. Mostly, this Instagram just gets us super excited for the next (and final – sob!) season of The Mindy Project. We have loved this show, and we’re sad to see it go. But while we can, we’re going to enjoy every hilarious Mindy minute. Because we have to.